As you all know that mango is the king of all fruits and everything made from this fruit is always tasty. 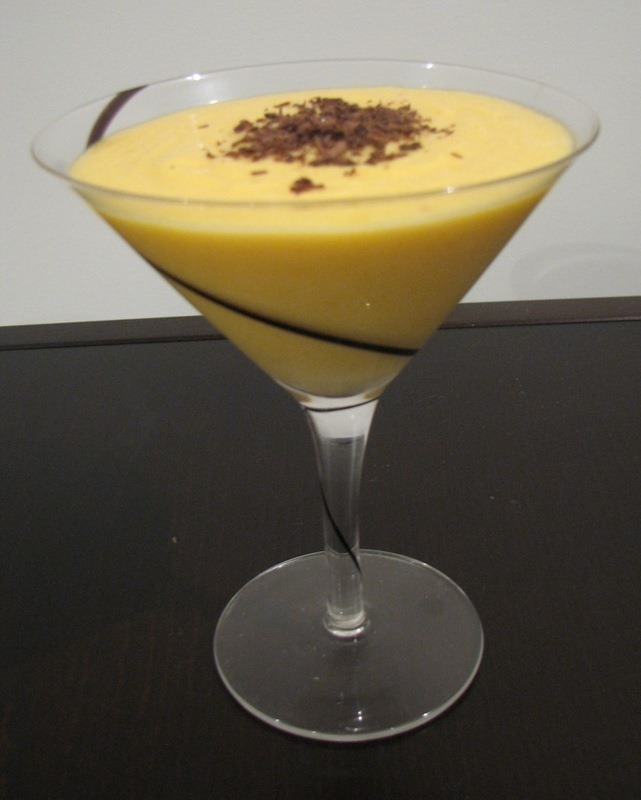 This mango mousse is very quick and simple to make. Try it and enjoy it in this summer with your loved ones. Add 1/2 cup of water in mango pulp and heat it in a very low flame. When it becomes warm then add 2 packets of jelly. Heat it till jelly dissolves in it. Let it cool down now on room temperature. Whip the cream with sugar till it becomes fluffy. Now fold the cream in mango mixture and pour them in small serving bowls. Refrigerate it for 1 hour. Tip: You can also use gelatin instead of mango jelly. If you put this mousse in freezer for long hours than it taste like ice cream. if i substitute the mango jelly with gelatine…..how much gelatine do I need to use?